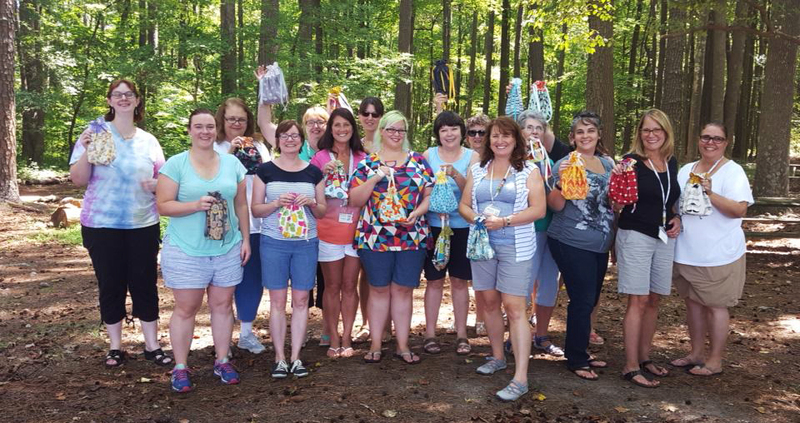 This August we participated in our first Inter-Guild Swap with our neighbors across the water, the Virginia Beach Modern Quilt Guild. We met up at the VBMQG’s annual Picnic and enjoyed food, games, and new friends. 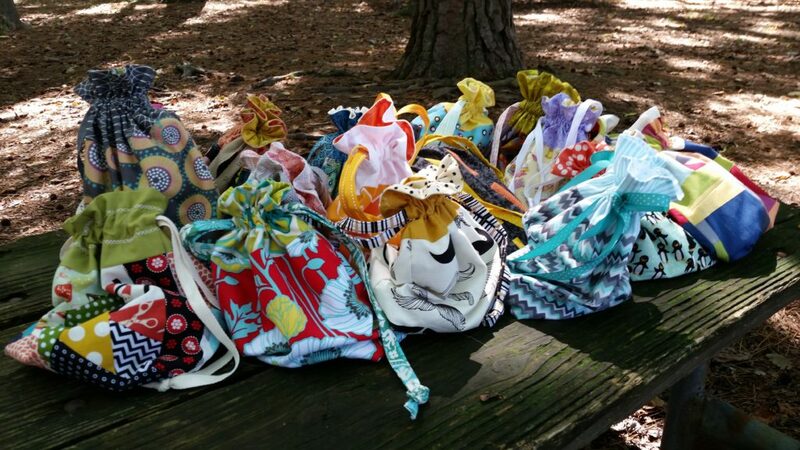 Everyone swapped these beautiful drawstring pouches.